Should Microsoft follow eBay and HP by splitting up? Could Redmond benefit from a big split? The past month has been notable for split ups of well-known companies into two separate entities, both of which are entirely independent of the other. First off, eBay and PayPal split, creating two publicly traded companies each having a new CEO and new focuses and goals. PayPal can now focus on the threat from Apple Pay, Square and Stripe, all of which have been eating the company's revenue when it was consolidated with eBay. And then Hewlett-Packard split into two companies after nearly one hundred years of existence. One company will focus on laptop, printing and PC hardware while the other company – headed by current HP CEO Meg Whitman – will be focused on enterprise technology. Both companies generate tens of billions in revenues and billions in profit with the split enabling each to be more nimble and to focus on the "lightning fast" world of technology that was previously unapproachable as a behemoth company focused on hundreds of simultaneous products. 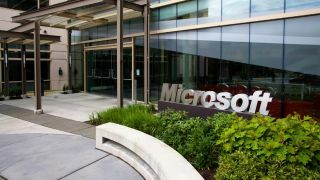 One company that didn't split up over the past month was Microsoft, despite repeated calls from investors, analysts and pundits over the past decade. The Microsoft of now is incredibly different from the Microsoft of the 80s and 90s which was a force to be reckoned with, creating and destroying industries and generating billions in revenue. Now, the market changing decisions are made by different giants: Apple, Google, Facebook and Amazon. They now rule where Microsoft used to. While the world still does rely on the services provided by Microsoft – Windows, Office, Azure – the move to smartphones and tablets has undermined the core business of Windows and Office. Microsoft's businesses are essentially broken into two sections: hardware and software. The hardware side (also known as "devices") includes Windows Phone, Surface and Xbox and is supposed to work in synergy with the software side (also known as "services"), which runs Windows development, Office, Azure and so on. Hardware-wise, Microsoft is little more than a mess. Significant resources have been invested in Windows Phone, which has captured less than 5% of the global market and less than 3% in the US and UK, two highly profitable sectors where Apple and Samsung reign supreme. Despite releasing Windows Mobile in 2000, Microsoft missed the opportunity to create an iPhone-like smartphone operating system early enough, choosing instead to rely on the continued dominance of Windows PCs. Running in parallel with Microsoft's blunders regarding smartphones have been blunders with tablets, leading to the Surface line – a venture that has lost Microsoft over $1 billion (around £620 million, AU$1.15 billion) since 2012. While the Surface hardware is nice and could rival the iPad, consumers have never warmed to the devices. The idea of a laptop/tablet hybrid is so different from the current convention of computer use – and from the ideas promoted by the iPad – that it has never caught on, leading to poor sales. In 2014, Microsoft parted with $7.2 billion (around £4.5 billion, AU$8.25 billion) to purchase Nokia's hardware division. Nokia has now been rolled into Microsoft, causing layoffs of thousands of workers and destroying the brand that has adorned phones for nearly two decades. The layoffs, which were meant to eliminate two people doing the same job, still leave Microsoft approximately 16% bigger than it was before the Nokia deal, bringing the total headcount up to 128,000 as of June 30, 2014. Apple, by comparison, employs 80,000 staff worldwide – 50,000 of which are in the US – most of who work in Apple Stores. This raises a question: how can a company with 128,000 employees across the world, acting out countless strategies and working on a myriad of products remain nimble in the fast changing technological world of 2014? The answer is by splitting the company in two. One side would be hardware (devices) and the other software (services).